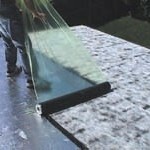 One of the product we use in Florida for these problems is ProtectoWrap. 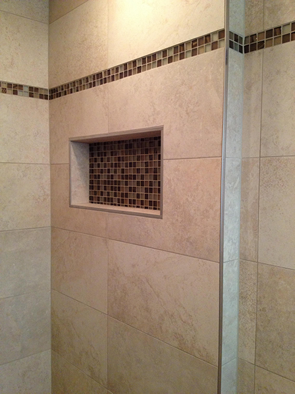 Crack isolation sheet membrane for use beneath thin-set tile and stone applications. AFM prevents unsightly cracks from surfacing in expensive floor finishes. Protecto Wrap’s AFM® is a 40-mil (1 mm) thick reinforced peel-and-stick sheet membrane specifically designed for use under ceramic tile, porcelain and natural stone as a stress relieving material in conjunction with thinset methods. AFM® has the flexibility and strength to withstand structural movement and natural concrete shrinkage cracks up to 1/4″ (6.4 mm). AFM ( Antifracture Membrane ) is waterproofing and crack suppression in one product with a 15 year warranty, giving you peace of mind with your property investment. Anti Fracture Membrane (AFM WM) consists of a tough fabric reinforcement laminated to an aggressive adhesive membrane. It is tacky on the bottom providing for superior adhesion to concrete, steel and wood substrates. The fabric top makes an excellent bonding surface for latex modified thin set mortars and thin set tile adhesives. AFM can be applied directly to cementboard, plywood & concrete without a great deal of preparation needed. Detail tape is used in all internal & external corners, also penetrations such as shower mixers, roses & waste pipes. 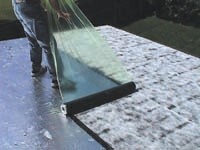 A light primer is then applied, enabling membrane to strongly bond to substrate. When both detail tape & membrane are formed together, it becomes a monolithic joint, impervious to water penetration. Waterproofing a deck can be done in two stages. A waterproofing strip can applied to the wall before cladding is nailed up, allowing workmen to use scaffolding in needed, eliminating the need to place down protective sheeting. Once cladding is fixed and painting is completed, we then apply the rest of the membrane to the decking, where the tiling can be laid without further delay.